Warning: Random post, but this may benefit those trying to upgrade old machines as cheaply and effectively as possible. NVIDIA has finally acknowledged their wrong-doings with the GTX 590. 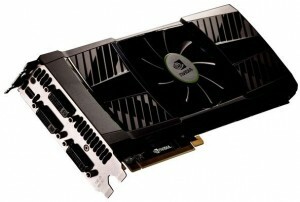 The GTX 590 Version 2 will hit the shelves in June. This revision will contain higher quality inductors that will prevent the GTX 590 from blowing up when stressed and over clocked. There are no details on what will happen to the current GTX 590 holders though, but things probably won’t go your way. The GTX 590 will contain a -502 marking that will show that identify that it is these revised edition. You will also notice that the GTX 590 -502 has a new baseplate and shape that is different from the original. Expect all new third party solutions for this card. At last Nvidia has release the GTX 590, and GTX 590 reviews are out! As I said in my previous article about the release information for the GTX 590,. I hoped that Nvidia could conquer the issues that AMD had with the noise level. And guess what? They did. There is however, much more to this story. To be honest, that puts people like me in a bind. I am an Nvidia fanboy at heart, even though my current 4870×2 has done me wonders. In a few short words, I can tell you exactly what will effect your decision. Choose the GTX 590 if…. That is it in a nutshell. But in reality, both are good cards. If you want faster performance and better temps and noise, then choose to do your own crossfire solution. Otherwise, there you have it.